The Niche 2019 Best School Districts ranking is based on rigorous analysis of key statistics and millions of reviews from students and parents using data from the U.S. Department of Education. Ranking factors include state test scores, college readiness, graduation rates, SAT/ACT scores, teacher quality, public school district ratings, and more. Niche is a website that helps you discover the schools, companies, and neighborhoods that are right for you. Niche rigorously analyze dozens of public data sets and millions of reviews to produce comprehensive rankings, report cards, and profiles for K-12 Schools. Every month, millions of families use Niche to research public and private K-12 schools. Niche has the most comprehensive data available on U.S. public and private K-12 schools and districts. 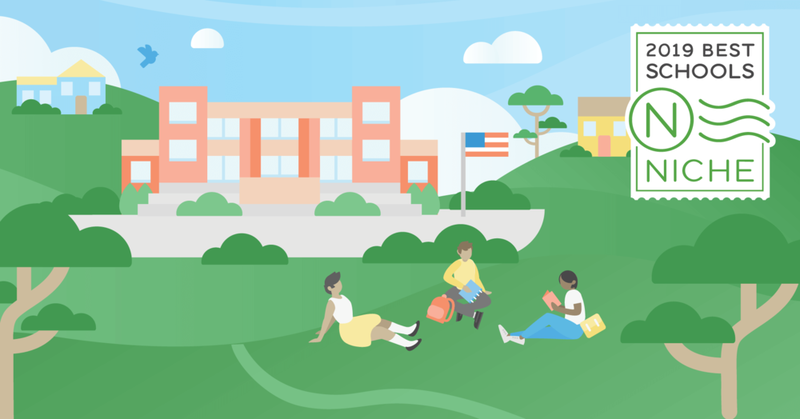 They rigorously analyze data from the U.S. Department of Education and over 60 million K-12 school reviews and survey responses to help families find the right school for them. What Makes Niche K-12 Rankings Unique? The Niche 2019 K-12 Rankings are based on rigorous analysis of academic and student life data from the U.S. Department of Education along with test scores, college data, and ratings collected from millions of Niche users. Because we have the most comprehensive data in the industry, we're able to provide a more comprehensive suite of rankings across all school types. Families from every corner of America and every background use Niche to research schools, so our rankings are intended to be useful to a wide range of families and filterable by type and location. Our rankings strive to reflect the entire school experience, including academics, teachers, diversity, student life, and student outcomes. We also believe that each school is so much more than just one ranking number. That's why we have in-depth profiles on each school and district and also assess them across a number of factors to produce annual graded Report Cards for each school and district. This year, nearly 100,000 schools and districts received a Niche ranking and 2019 Report Card.